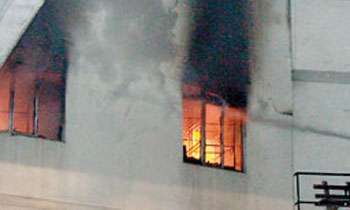 A fire broke out in the building at Braybrooke Place in Colombo 2 a short while ago, the Fire Brigade said. It said two fire fighting trucks were sent to the location to douse the fire. Now that an economic downturn has set in, there will be more fires etc...for insurance claims.Wait until the highly leveraged vehicles on finance start to catch fire or disappear.Best the insurance industry set up claim investigation units asap. CMC and UDA are giving approvals to apartments in Colombo with no quality, to mushroom all over the next fires will be there.